Scientists hope to test new samples of Pacific bluefin tuna after low levels of radioactive cesium from Japan's Fukushima Daiichi nuclear accident turned up in fish caught off California in 2011, researchers reported Monday. The bluefin spawn off Japan, and many migrate across the Pacific Ocean. Tissue samples taken from 15 bluefin caught in August, five months after the meltdowns at Fukushima Daiichi, all contained reactor byproducts cesium-134 and cesium-137 at levels that produced radiation about 3% higher than natural background sources - but well below levels considered dangerous for human consumption, the researchers say. Cesium-137 has a radioactive half-life of about 30 years, and traces of the isotope still persist from above-ground nuclear bomb tests in the 1950s and '60s. 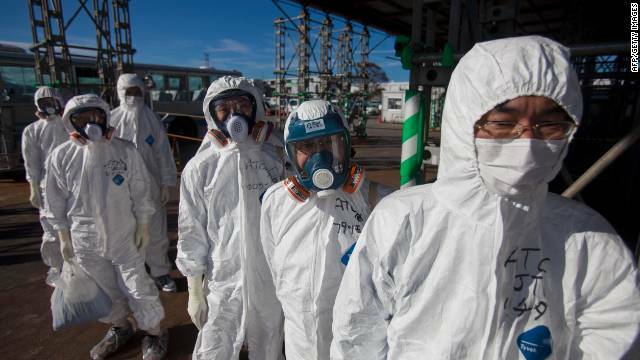 But cesium-134, which has a half-life of only two years, "is inarguably from Fukushima Daiichi," Stanford University marine ecologist Dan Madigan told CNN. 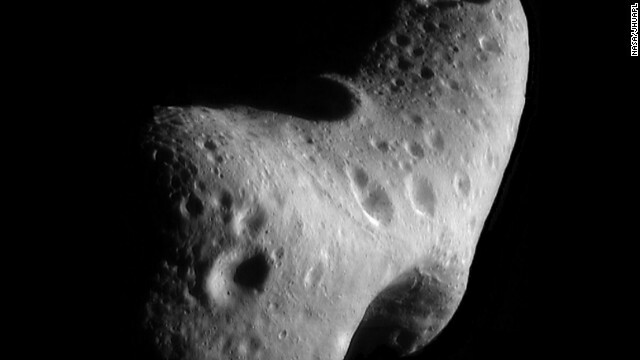 This image, taken by NASA's Near Earth Asteroid Rendezvous mission in 2000, shows a close-up view of the asteroid Eros. About 4,700 asteroids are close enough and big enough to pose a risk to Earth, NASA estimated Wednesday after studying data beamed back from an orbiting telescope. The figure - give or take 1,500 - is how many space rocks bigger than 100 meters (330 feet) across are believed to come within 5 million miles (8 million km) of Earth, or about 20 times farther away than the moon. "It's not something that people should panic about," said Amy Mainzer, an astronomer at NASA's Jet Propulsion Laboratory in California. "However, we are paying attention to the issue." NASA defines a potentially hazardous asteroid as one large enough to survive the intense heat generated by entry into the atmosphere and cause damage on a regional scale or worse. The figure released Wednesday is lower than a previous rough estimate had projected, but more are now thought to be in orbits inclined like Earth's, making them more likely to cross its path. 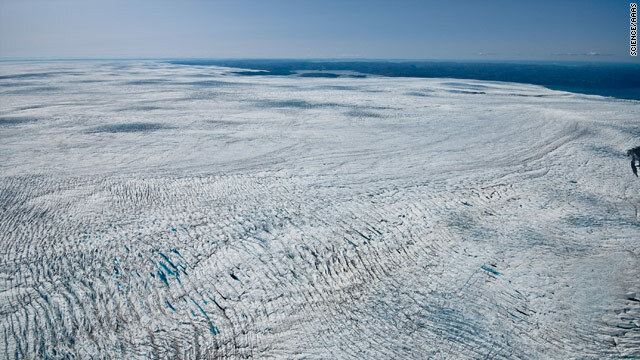 (CNN) - Greenland's glaciers are sliding into oceans at a faster pace than previously known, but they may contribute less to an expected rise in global sea level than feared, scientists reported Thursday. From 2000 to 2010, researchers at the University of Washington and Ohio State University monitored the vast rivers of ice that course across the world's largest island. Their results, published this week in the peer-reviewed journal Science, found that glaciers in northwestern and southeastern Greenland flowing toward the Arctic and Atlantic oceans picked up speed by about 30%, on average. "Glaciers are continuing to accelerate, which means they are continuing to put more ice into the ocean," said University of Washington at Seattle glaciologist Twila Moon, the paper's lead author. "And as soon as that ice hits the ocean, it's contributing to sea-level rise." But Moon said her group's data suggests that contribution will be less than existing worst-case scenarios. A honeybee forages on scorpion weed flowers. 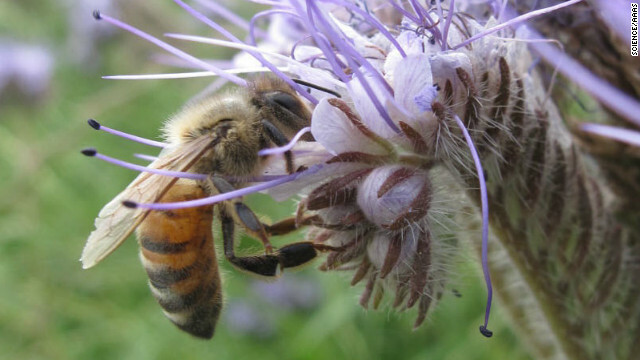 A French study used tiny radiotransmitters to track honeybees as they left and returned to their hives and found that many of them failed to return after being exposed to non-lethal amounts of one pesticide.